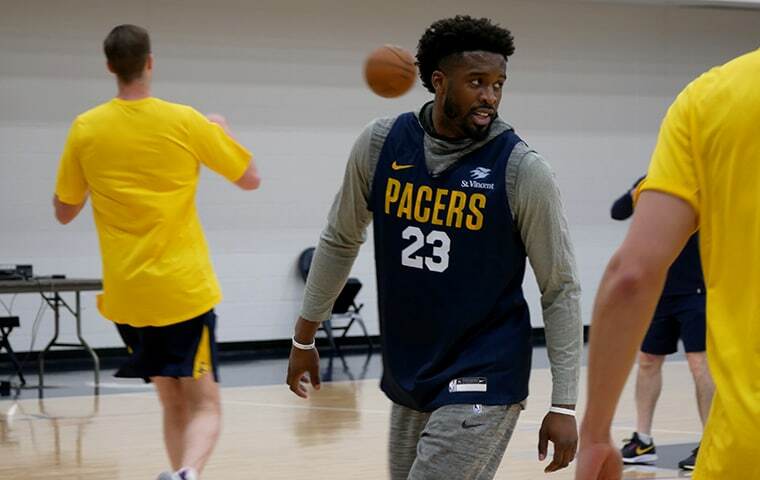 The Indiana Pacers announced Sunday they have signed free agent guard Wesley Matthews to a contract. "We're excited to welcome Wesley to the Pacers", said Pacers president Kevin Pritchard in the team's statement. Matthews was traded from the Dallas Mavericks to the New York Knicks a few weeks ago in the deal involving Kristaps Porzingis and eventually agreed to a contract buyout with the Knicks on Thursday. Matthews played just two games with NY and scored 14 total points on 4-of-19 shooting. "He's a solid professional who we feel strongly will help us the remainder of the season and into the playoffs". He's a career 38.2 percent 3-point shooter and is tenacious on the defensive end, earning a reputation as a prototypical role player on the wing.